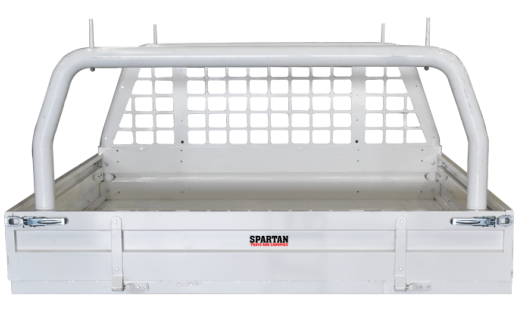 SpartanTC UTE Trays with Ladder Rack. 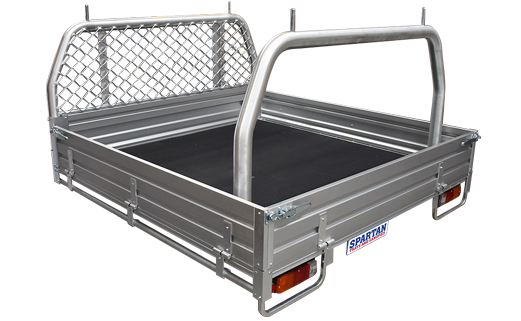 Spartan Deluxe Fibreglass Ute Canopies have a stylish aerodynamic body design with integrated spoiler & LED brake light, tinted windows, roof rails, interior light, carpet lining, and more as standard. 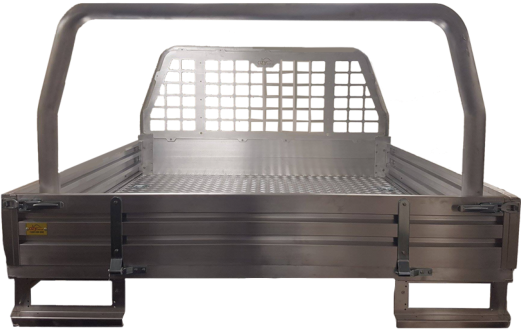 With more standard features then any other tray, as well as a huge range of accessories, Spartan Alloy and Steel Ute Trays continue to raise the benchmark of quality and service in the market. We have a great range of accessories available on our Ute Canopies and Trays. 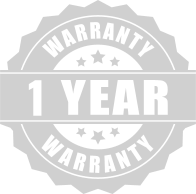 You can be sure to get exactly what you want in the one location. We can also point you in the right direction for parts and custom fabrication!  A multi-function canopy that can suit everyone’s lifestyle, the Spartan Canopy not only provides strength and security, but also styling to suit each individual model. Made with 3 layered fibreglass reinforced composite. Two point locking high quality handle with key set. Tinted glass and keyed alike options for sliding or lifting. All canopies are custom painted to match the colour code on the car. SpartanTC continues expanding its options to choose with canopy installations. We have recently introduced canopy drawer systems for our customers to choose with their canopies. Heavy Duty TIG welded aluminium tray deck. 250mm high sides, with TIG welded end caps. Laser cut mesh headboard with 76mm tube. High tensile folded steel for strength and light weight.